Should have done this a long time ago! Curing your own bacon is not only easy, but the it tastes so much better that the store-bought one, it's not even fair to compare. The seasoning can be changed and adjusted to your liking. 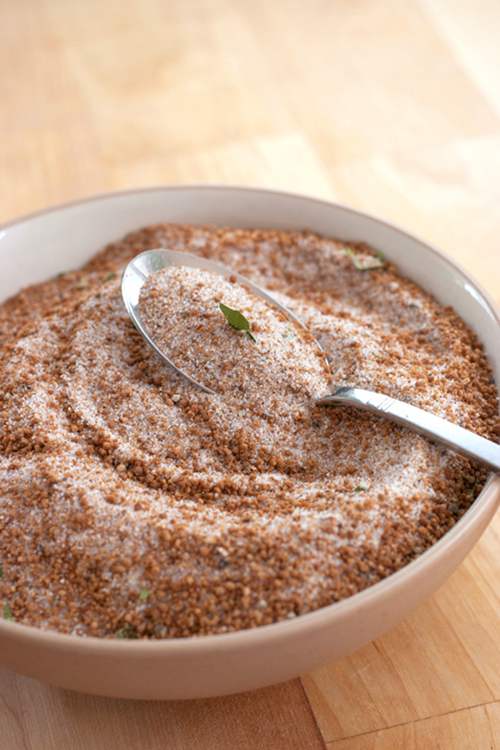 Combine salt, sugar and spices in a bowl. 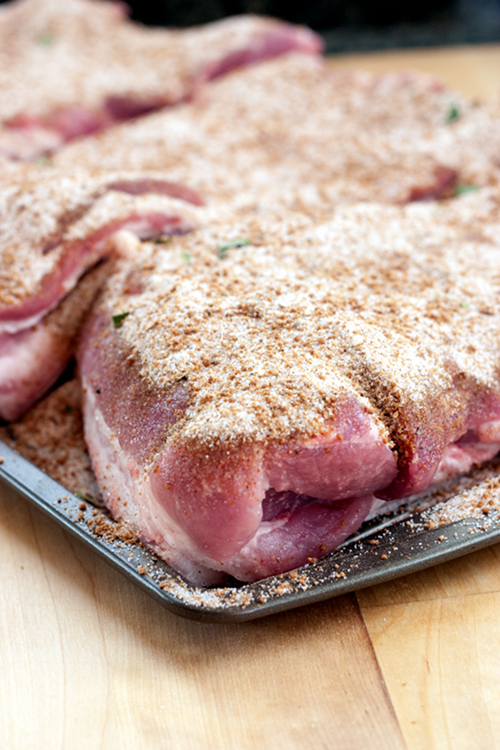 Place a pice of pork belly on a baking pan, rub the curing mixture onto the entire surface of pork belly. Transfer pork into a gallon bag, squeeze out the air and seal the bag. Repeat with the other pork belly. Discard the remaining curing mixture. Place pork in the refrigerator and let them sit for 2 days, skin side up. After 2 days, drain the liquid from the bags, squeeze the air out and reseal the bags. Return the bags to the refrigerator, flip the pork so now the skin side is on the bottom, and let sit for another 3 days. Take the pork bellies out of the bag, rinse off the salt very well under running water, then pat dry with paper towel. If you choose not to smoke your bacon, you can place them on a lined baking sheet, and cook in 200 degree oven until the internal temperature reaches 150 degrees F, about 2 hours. 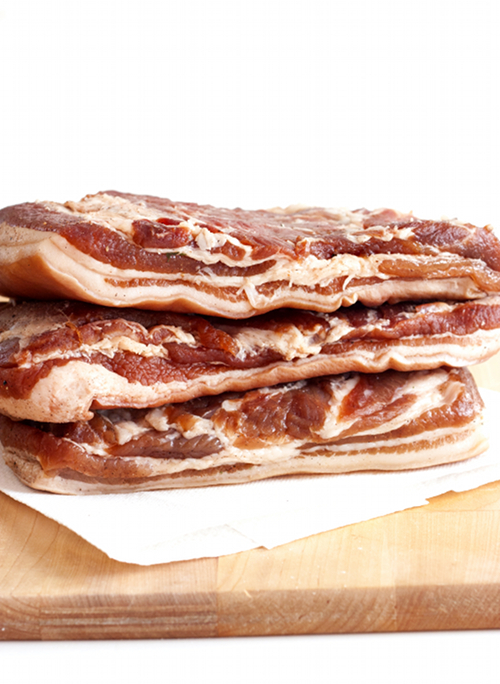 If you choose to smoke the bacon, place a wire rack on a baking sheet, and place the bacon slabs on the wire rack. Refrigerate the bacon, uncovered, overnight to 24 hours. This process will help the smoke to adhere better to the bacon. Prepare your smoker per instruction, bringing the smoker temperature to 150 degrees (In this case, I chose to use applewood chips to smoke my bacon). Place the bacon on the smoker's grill. Cover and cook until the internal temperature reaches 150 degrees F, adding coals and wood chips if necessary. 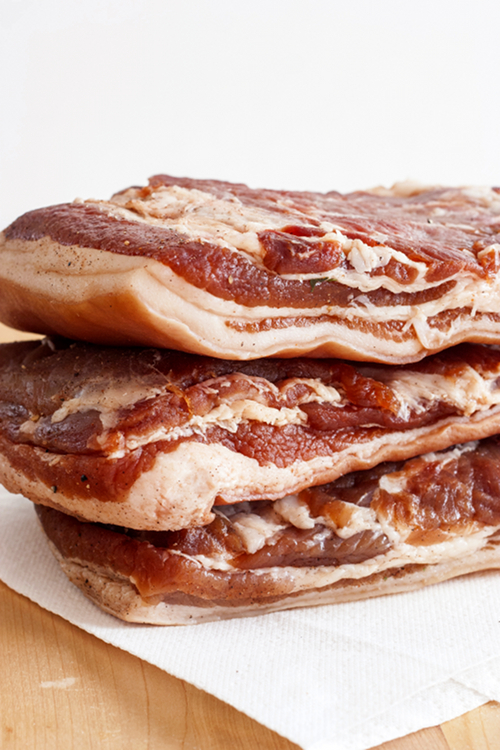 Allow bacon to cool down completely, then wrap and refrigerate until you're ready to cook. Slice the bacon and cook as you wish. Bacon will last for 3 months or so in the freezer. Priscilla, this is way to tempting! I felt like I could smell that while looking at it. It's interesting how the brain works. Lots of people try to do their own thing and it works out great for them. I don't think there's anything better than knowing that you don't have to do it all the time but if you want to, you should be able to. In addition to that, once you learn the basic principles, you can apply it to other products. Everyone doesn't want to have bacon but they can do their own chicken or turkey. I'm so happy that I had tried it, and really it did not take that much effort to cure bacon, and the end result is far superior to those store bought ones! And I bet healthier, too.